Shingled Roofing | Cedar Shake Roofing | Slate Tile RoofingNaperville Exteriors, Inc. is well-known as Chicagoland’s preferred roofing contractor for more than 10 years. Our highly-skilled certified roofing contractors always endeavor to exceed our customers’ expectations on every job we perform. We are well aware that excellent roofing is important as much for its appearance as it is for its function. Our roofing repair professionals strive to please roofing customers throughout the Greater Chicago Metropolitan Area with roof replacements and roof installations. Naperville Exteriors, Inc. has a team of trusted professionals who are dedicated to handling any manner of roof repair, roof replacement and roof installation for clients. Regardless of your roofing issues, we definitely have the answers! In addition, we understand how critical it is for homeowners and business owners to find the best roofing contractors. 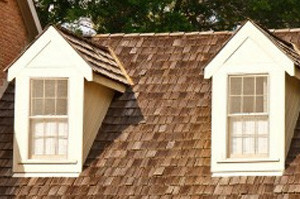 Naperville Exteriors, Inc. is recognized as possessing the most affordable and reliable roofing products. Besides that, our shingles are accessible in an assortment of colors, thicknesses and dimensions to coordinate with your home or business. Our roofing contractors will not only improve the appearance of your home, but they will also increase your home’s value. Naperville Exteriors, Inc. has constructed its business on honesty, integrity and fair-mindedness. In fact, these characteristics are seen in all we do. It’s no wonder that Aurora homeowners and business owners have come to us for roof repairs and roof replacement. Aurora, Illinois is the second most populous city in Illinois behind Chicago with 143,000 residents. It is primarily located in Kane County; however, Aurora now spills over into DuPage, Will and Kendall Counties. Whenever Aurora homeowners are looking to have new roof installation, they are certainly going to want to go with the best in the roofing business. Since 2002, Naperville Exteriors, Inc. has been delivering the best roofing to Aurora homeowners and business owners. We also have the most outstanding roofing products, pricing and services Aurora customers deserve. In addition, Naperville Exteriors, Inc. knows how difficult it can be for Aurora customers to find the best roofing shingles that will suit both their homes and their budgets. Additionally, Aurora residents realize that we have a fair pricing policy that reflects our company’s commitment to our customers and to improving our roof repair services. Naperville Exteriors, Inc. provides roof installation products that not only add beauty and character to a home, but they also provide protection from harmful elements. We stand behind all of our lifetime warranties and 100% transferrable warranties. When customers deal with us, they will be getting one of the most firmly established roofing companies in the region. Unlike the competition, Naperville Exteriors, Inc. doesn’t cut corners. We have over two decades of collective experience in the industry. We have been working with the same roofing team for over a decade to ensure consistency and the highest quality of work possible. Better yet, Naperville Exteriors, Inc. is fully insured, BBB certified, and GAF (General Aniline and Film) certified for our customers’ benefit. For your FREE estimate, call us, today, at: (630) 254-4831.